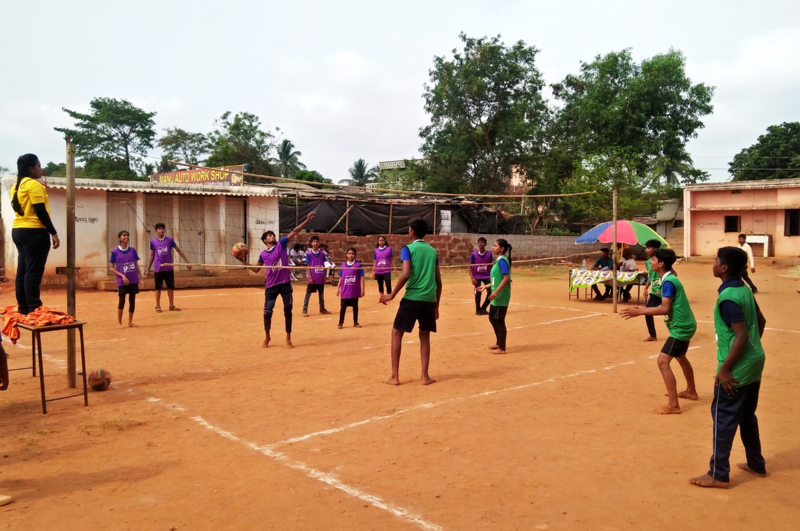 Pro Sport Development (PSD) celebrated the International Day of Sport for Development & Peace (IDSDP) on 6 April 2019 with children from the Community Sports Program in Bhubaneswar, eastern India by organising a mixed-gender catching volleyball tournament, along with experiential sharing activities. This year for IDSDP 2019, PSD wanted to hear from various stakeholders, especially the children that participate in the Community Sports Program (CSP), about their experience and learnings from participating in sport and how it has impacted them individually and collectively. With this in mind, PSD’s team in Bhubaneswar, Eastern India created an “Opinion Wall” which allowed the children, as well as other stakeholders such as teachers and community members, to share their thoughts about the importance of sport, how it has impacted them and their communities, as well as its linkages to the UN’s Sustainable Development Goals (SDG). The Opinion Wall was taken to each of the schools’ part of the CSP in the week leading up to 6 April 2019, where the participating children and other stakeholders expressed their views. On 6 April 2019, PSD organised a mixed-gender catching volleyball tournament at Saraswati Shishu Mandira school in Bharatpur slum, where the Opinion Wall was placed so that children from different schools and communities could read about their peers’ thoughts. The event on the day of IDSDP 2019 was attended by 54 children (47% girls) from three schools part of the CSP. The Opinion Wall turned out to be extremely popular among the children in expressing their thoughts about the importance of sport and its contributions in their lives. There were some inspiring and powerful views shared by the children.